Words: The Words are in the Public Domain; you do not need permission to project or reprint the Words. Music: Permitted with a license from CCLI.com or from OneLicense.net. If you do not own one of these licenses, please contact the copyright holder for permission. my Savior’s love to me. my Lord should take frail flesh and die? the longed-for Christ would know. who at my need, his life did spend. and for his death they thirst and cry. to cause this rage and spite? and gave the blind their sight. the Lord Most High so cruelly dies. that through his name all might be free. never was grief like yours. I all my days would gladly spend. and therefore did not worship him. that we might worship him in truth. People of God, behold and see your God! We open our eyes to see his glory. We open our ears to hear his wisdom. We open our hands to offer him gifts. We open our mouths to sing his praise. We open our hearts to offer him our love. to sympathize with us in our weaknesses. In every respect he was tempted as we are, yet without sin. so that we may receive mercy and find grace to help in time of need. Let us confess our sins to almighty God. the anger of God against the sin of the whole human race. In response to his sacrifice, let us confess our sins to God. and this is not your own doing; it is the gift of God. the wrath of God against the sin of the whole human race. 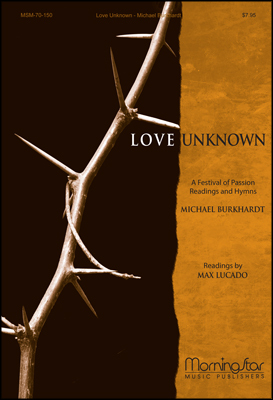 After a time of neglect, this traditional 19th century Anglican hymn become popular, especially with the tune LOVE UNKNOWN, written for this text in 1919. 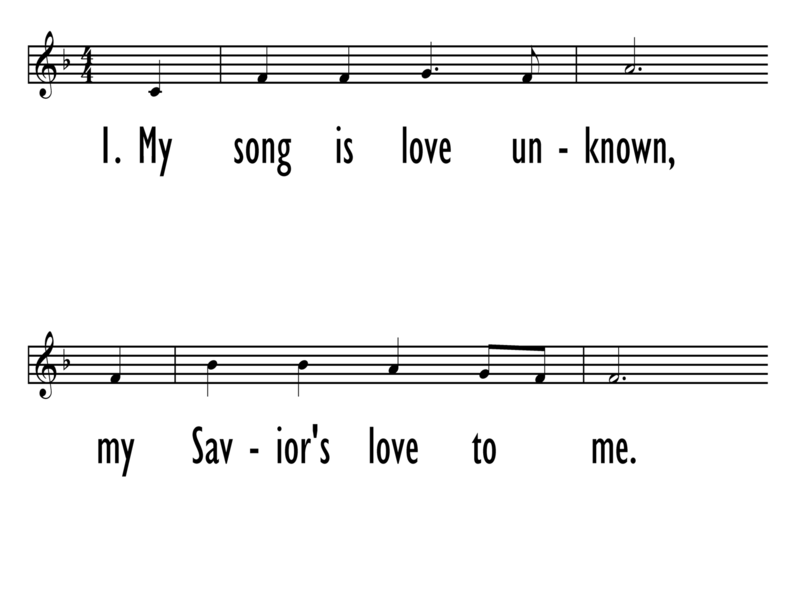 But about a quarter of hymnals, including Lift Up Your Hearts, now set the newly popular text to the beloved Welsh tune RHOSYMEDRE, so that both text and tune are by contemporary 19th century Anglican priests. 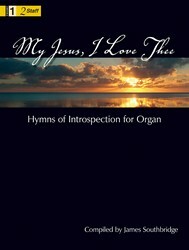 Over the years that text was altered slightly, and in this setting, Albert Chung also slightly adapted the tune and provided a keyboard accompaniment that has refreshed this hymn for the 21st century. Samuel Crossman (b. Bradfield Monachorum, Suffolk, England, 1623; d. Bristol, England, February 4, 1683) was a minister of the Church of England and a hymnwriter. Crossman earned a Bachelor of Divinity at Pembroke College, University of Cambridge, and was Prebendary of Bristol. After graduation, he ministered to both an Anglican congregation at All Saints, Sudbury, and to a Puritan congregation simultaneously. Crossman sympathized with the Puritan cause, and attended the 1661 Savoy Conference, which attempted to update the Book of Common Prayer so that both Puritans and Anglicans could use it. The conference failed, and the 1662 Act of Uniformity expelled Crossman along with some 2,000 other Puritan-leaning ministers from the Church of England. He renounced his Puritan affiliations shortly afterward, and was ordained in 1665, becoming a royal chaplain. He received a post at Bristol in 1667, and became Dean of Bristol Cathedral in 1683. He died on 4 February 1683, at Bristol, and lies buried in the south aisle of the cathedral at Bristol. Several of Crossman's hymns are preserved in Sacred Harp. John David Edwards (b. Penderlwyngoch, Cardiganshire, Wales, 1805; d. Llanddoget, Denbighshire, North Wales, 1885) was educated at Jesus College, Oxford, England, and ordained an Anglican priest in 1833. He served parishes in Rhosymedre and Llanddoget and published a collection of hymn tunes, Original Sacred Music (2 vols., 1836, 1843), for use in Anglican churches in Wales. Albert Chung (b. August 22, 1986) is from South Pasadena, CA; he has an undergraduate degree in music education from UCLA and served as a band director at South Pasadena High School. His involvement in various church ministries around Southern California led him to study at Princeton Theological Seminary for his M.Div. degree (anticipated in 2014); his interest in music composition is aimed at providing accessible contemporary settings for congregational song.